Now it’s time to choose the perfect design for your company website out of these modern and tasteful themes. Let’s have a closer look at WordPress business Themes For Small Business, Insurance Agency, Corporate Business Websites. A business website is more than just an information leaflet online. In this Internet era, you dedicate more time and a bigger share of your budget to online marketing, and the company website is the ultimate location where leads, attracted by your promotional activity, will land. Whether they decide to stay on the page and eventually become your customers or leave it and never come back again depends on the way your website looks and works. Even though the look and performance of the website are extremely important, as a wise business owner you want to invest as little time and money into it as possible, while getting the same level of quality. And that is not difficult to achieve: when you use a free content management system and a ready-made design business WordPress theme, you can build a low-cost website in nearly no time without sacrificing its look or quality. The most obvious CMS to choose is WordPress, one of the most popular platforms in the world. Originally it was created for bloggers, but today WordPress powers millions of corporate websites, and its users include Forbes, CNN, and Sony. But the best thing is that WordPress still remains as user-friendly and intuitive as the original blogging platform was. That’s why about 100 000 business owners, who want an easy to manage, fast, and functional website, pick WordPress every day. There are hundreds of pre-designed business WordPress themes online,which can satisfy the needs of any business in any industry. 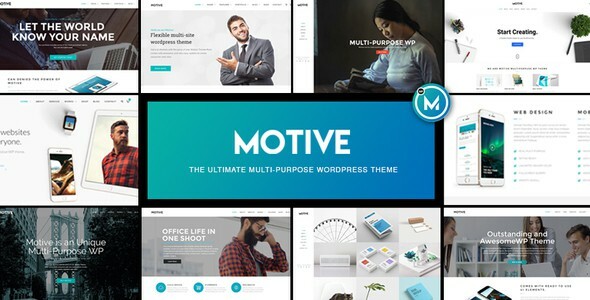 For this post we have selected 25 premium business WordPress themes, and each of them can give a corporate website an unforgettable look. Here’s why you should get one of these WordPress themes. All themes are immediately available and ready for installation, so even if you want to tweak the theme you buy, it won’t take too long. The price will be incredibly low, too, as compared with the cost of a custom-created design. More and more visitors will be browsing your website using mobile devices, and if the page does not adapt to them, the visitors won’t struggle through it. Most of the WordPress business themes in this collection are responsive, so they will look attractive and be usable on any smartphone or tablet. These twenty five designs are offered by the biggest commercial designs resource TemplateMonster. So if you don’t find the right theme in this collection, you have hundreds of other designs to choose from on the website. If you need someone to install and customize the theme, this can be done by TM experts for an extra fee. You will also receive round-o-clock support before and after you buy the template. Now it’s time to choose the perfect WordPress business themes for your company website out of these modern and tasteful themes. This theme is pretty simple, but follows the latest trends in web design. 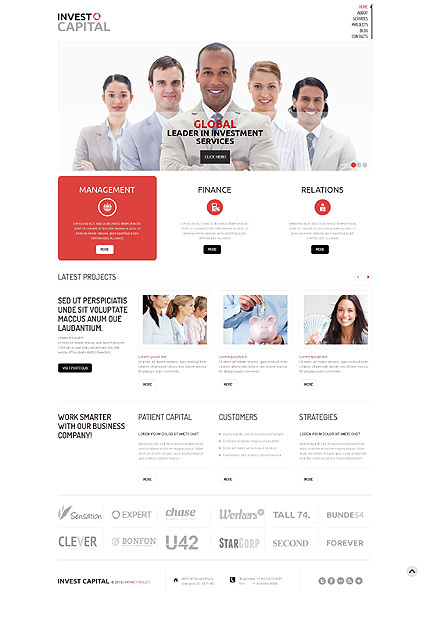 Professional, but trendy – a perfect choice for a modern management company – Business WordPress Theme. This responsive big-resolution design uses elegant shades and several bright accents that make it more eye-catchy. 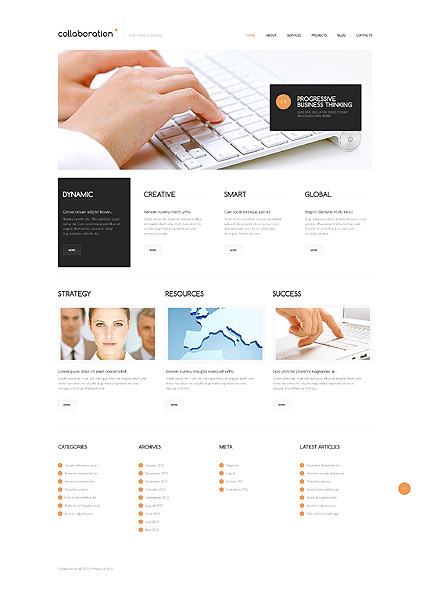 It’s a great look for a marketing agency WordPress Business Theme. This neutrally-colored mobile-ready design uses interesting fonts and icons, and the glasses idea makes it even more original. 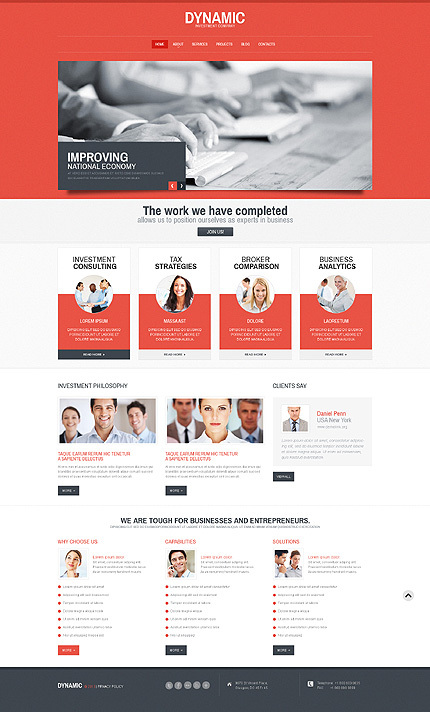 It will look good on the company website of a consulting bureau WordPress Theme. This clean responsive design with lots of white and a pleasant shade of green will be perfect for a corporate website of a business solutions firm business theme. Using traditional shades and simple lines, this mobile-compatible design looks professional and somewhat techy – a great choice for an IT company website. This responsive business theme has an information-rich homepage, but it still looks clean and uncluttered. 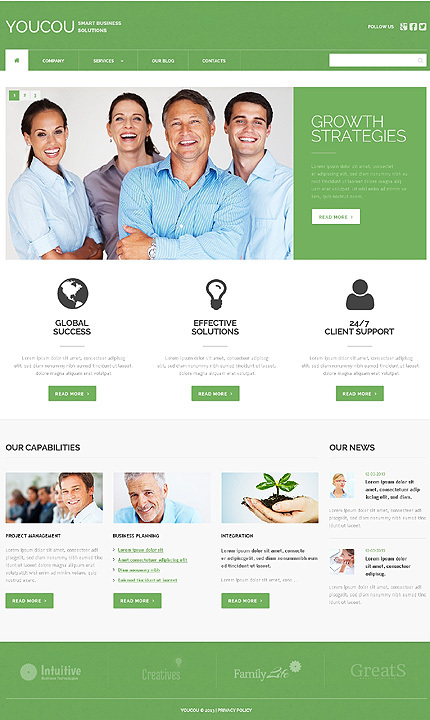 It’s a great design for an IT company website. With its pastel palette and softly-colored photos, this clean responsive business WordPress theme looks professional, but not too traditional. It would be a great choice for a young and creative business. This responsive corporate design with a big attractive lightbox looks very sleek. It will be great for an insurance company website. The interesting combination of dusty red with monochrome photos draws attention to this responsive WordPress business theme. 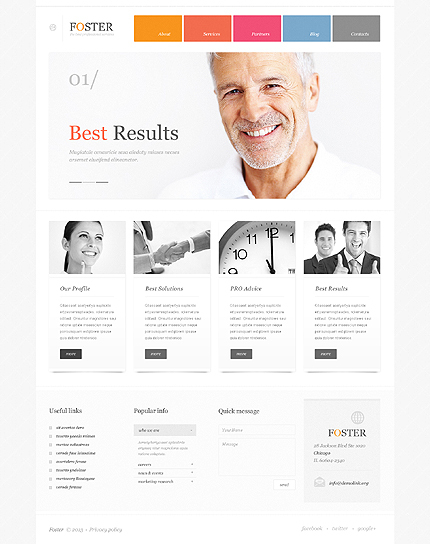 It looks professional and clean – a good choice for a consulting business website. This clean responsive investment leader business theme puts the emphasis on the photos, while the rest of the design remains simple and subtle. It’s a great theme for an investment company website. 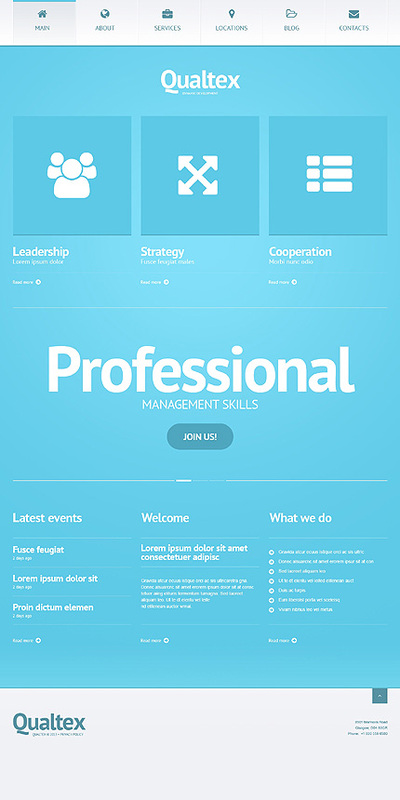 This responsive big-resolution design looks business-like and professional. A management company will find it great for its website. This dark gray design uses white and cyan details to lighten it up. 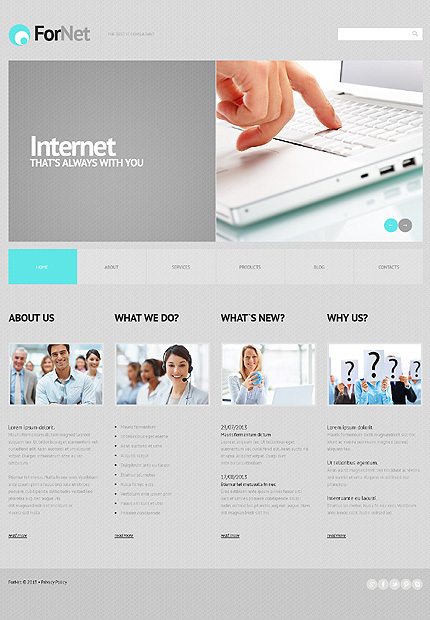 It’s an excellent theme for an IT business website. 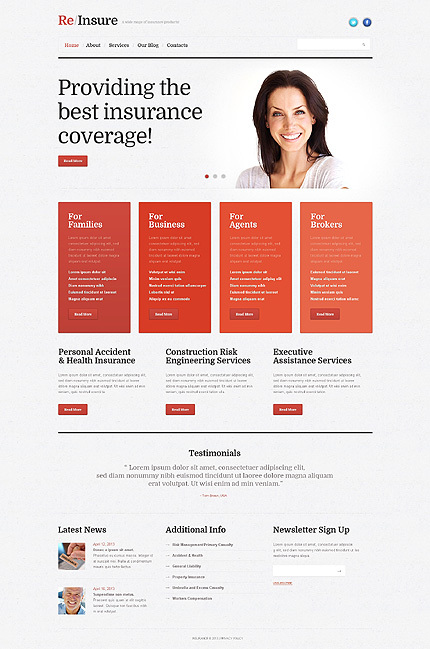 This elegant design will make an insurance company website look credible and modern. It is fully responsive and uses pleasant colors in combination with interesting backgrounds. This minimalistic white design looks clean and even pure. 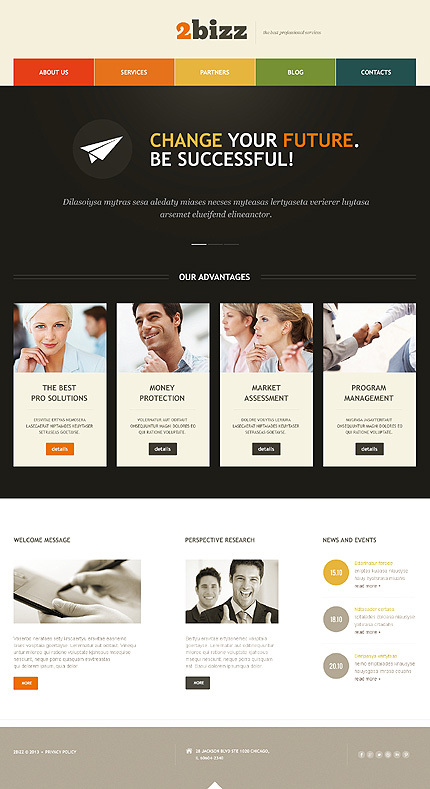 Its elegance will be appropriate for a modern marketing agency website theme. This responsive darkly-colored design looks pretty simple and uncluttered. It’s a smart choice for an investment company website theme. This clean responsive design uses classic shades, but the lightbox solution makes it look original. 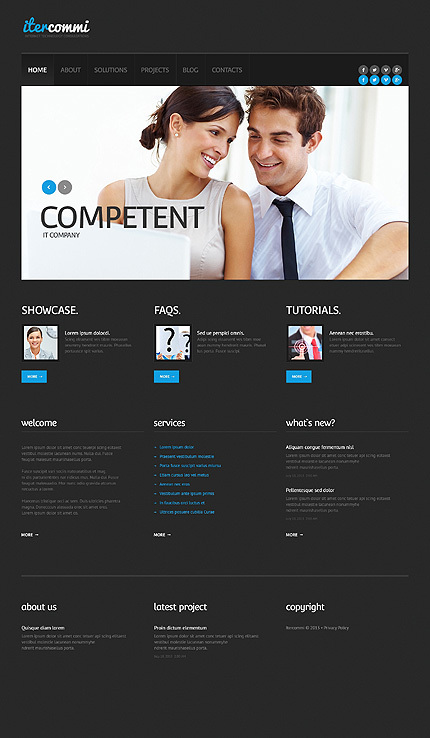 A management solutions company that wants its website to look somewhat special will appreciate this theme. 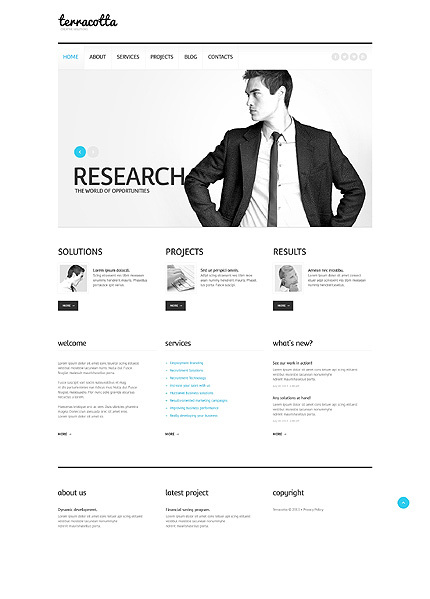 This responsive WordPress business theme with its white and light gray looks sleek and glossy. It’s a stylish choice for a consulting services business. This responsive design looks clean and pretty traditional, but several subtle details, like the background and the header menu, make it original. 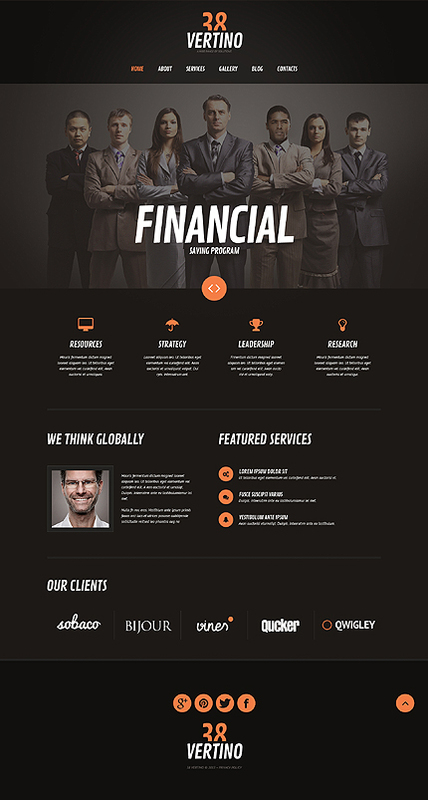 It’s a great theme for an investment business website. This elegant responsive design with pleasant shades of blue and a prominent lightbox will be good for a recruitment company website. This stylish minimalistic design uses lots of white, monochrome images, and eye-catching cyan details. 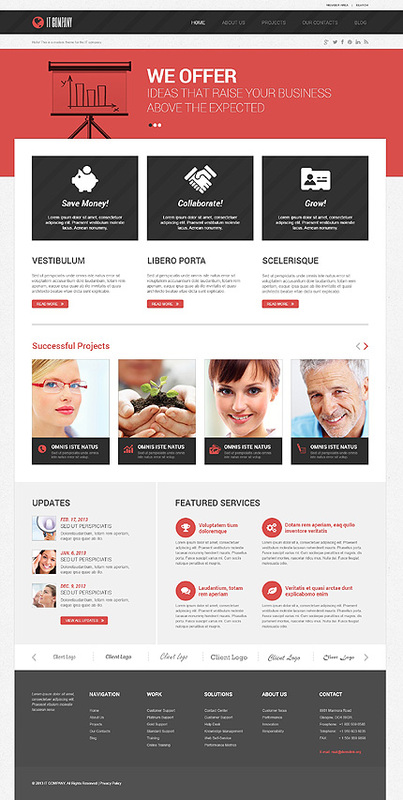 The theme is responsive and will be great for a marketing business website. 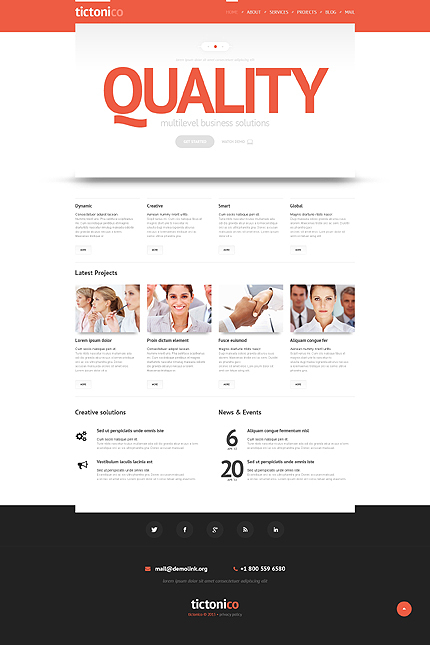 This multipurpose WordPress theme is best for your any business project website. It comes with 20+ amazing quick import demos. This theme is built with clean code and its compatible with any browser and fit on any screen with the responsive design. You can use its Visual composer page builder the award winning drag and drop front-end and back-end editor. 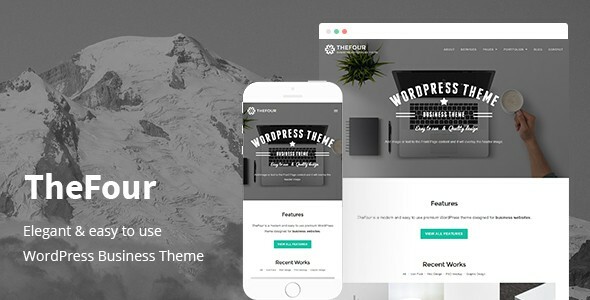 TheFour is a flexible and easy to use Pro WordPress business theme which can help you to create your business website fast and very easy. This theme has thoughtful options for you to customize your site an easy way. It will not confuse you with hundreds of options. Instead of that, all the theme options are carefully selected to optimize the user experience. Created with the latest technologies, TheFour theme is compatible with all modern browsers, responsive in all screens and optimized for fast speed! 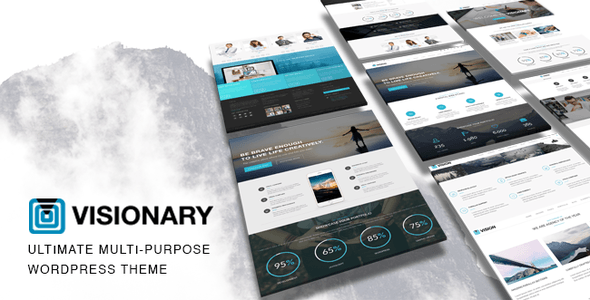 Vision is a responsive multi-purpose WordPress Theme (try resizing your browser), suited for any business project websites and for those who want to showcase their work on a neat portfolio site. The Template is built with KODDE Framework V2 with a bunch of new options and Page Builder V2 with drag and drop and resizable blocks. I hope that this year’s WordPress business themes continue the great legacy that 2017 provided for a lot of businesses this year! So, what do you think of our list? Check out this post and this post for more business WordPress themes. If you have other Business WordPress themes that you think should be included here? Please share this list with your friends on social media sites and leave a comment below. I’d be more than happy to look into your suggestions! These theme perfectly fits my business website i hope i get this for free. 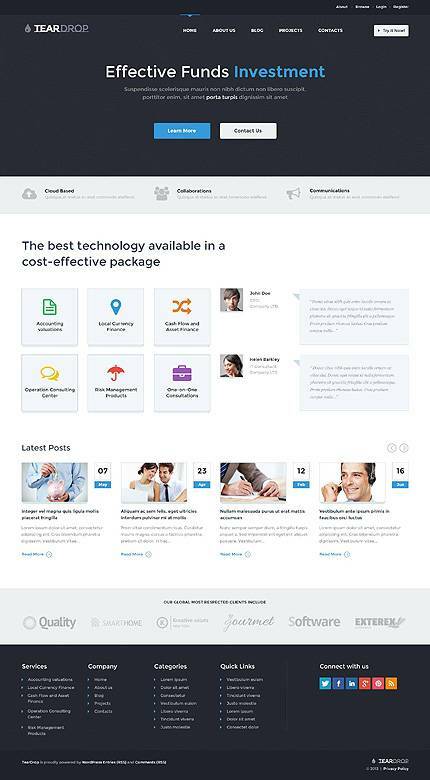 Hi Ravinder – These are premium Business themes. 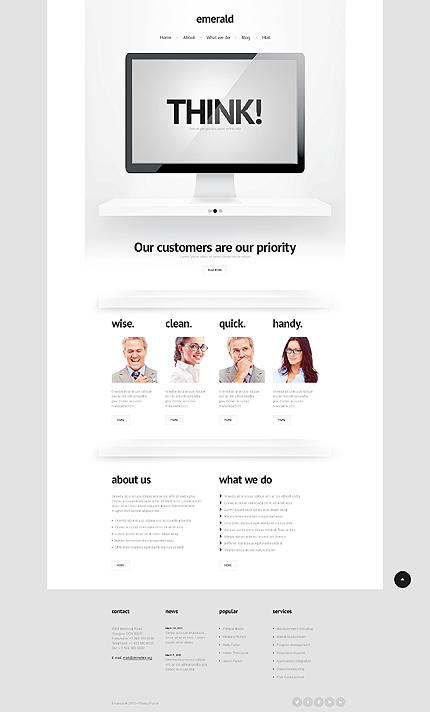 Please wait, we’re compiling a free business themes list and soon we’ll publish it on our site. Excellent list of theme bro. The Sleek Company theme caught my eye. Because it is sleek 😉 And because it is clean and clear, my favorite requirements for any theme. Gotta have a clean, light theme to keep eyeballs on your most valued blogging or business site content: both elements and white space. Using plenty of white space keeps visitor attention spans on your content which helps your blog or business site to expand steadily online. Good to see you here. 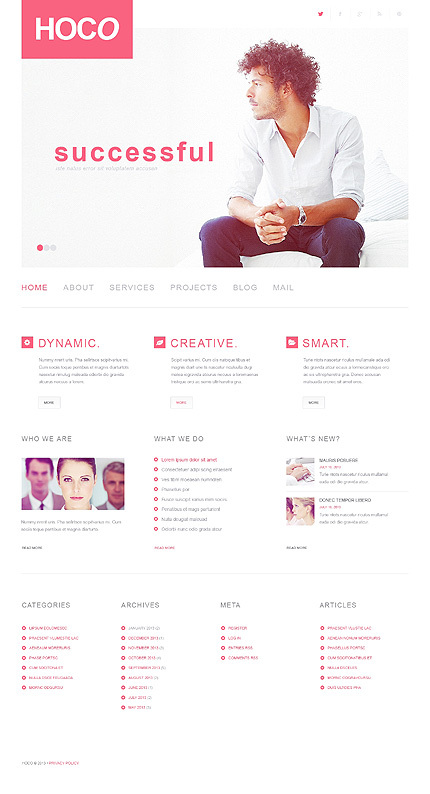 The Sleek WordPress business themes is also my favorite theme because of it elegant design and colors. I’m glad you liked the post. Great list bro. I have been looking on so many of your posts trying to find a good suitable theme for my blog. Can you suggest a free good quality technology magazine theme for oddblogger? Happy to see you here after a long time. If you’re looking for Tech Magazine theme for your blog Check this theme. It’s my favorite theme for tech blog. That’s good news Abhi. I hope you’ll rock again your blog. I’ve checked your blog and now its looking awesome. But, the logo is looking odd. Change the logo and add the default thumbnail to your posts. Overall blog design is good! Hahhaa.. I knew you would point our the logo. That was the old logo I was using for time-being. I have indeed made a new logo. Let me know how do you like it. And I would you to install comment reply notification plugin or something similar. So that I can get a notification when you reply and I can reply back easily. Thanks for suggesting the theme. logo is good but sorry to say that it’s not good fit for your blog. In my point of view logo should be in two colors because of your black background of header. Something like (ODD in white color and Blogger in red color). And, place the logo in left-side. On this blog I’m not getting enough comments that’s why I’ve not installed any notification plugin. I’m thinking to install the CommentLuv plugin back. This is a great list of Best WordPress Business Themes. I was looking for business WordPress themes and I found it here. I’m going to check out and purchase it right now. I’m glad that you found WordPress Business theme from this collection. Please let me know if you need any help. All of these themes shows a a lot of hard work behind it, Keep it up. Thanks for your comment, Somia! A startup person sometimes never know how to take a step accordingly but by the help of this article those guys are taking a step confidently. And I always like a simple and uncluttered theme that’s why I love 38 Vertino WordPess theme.